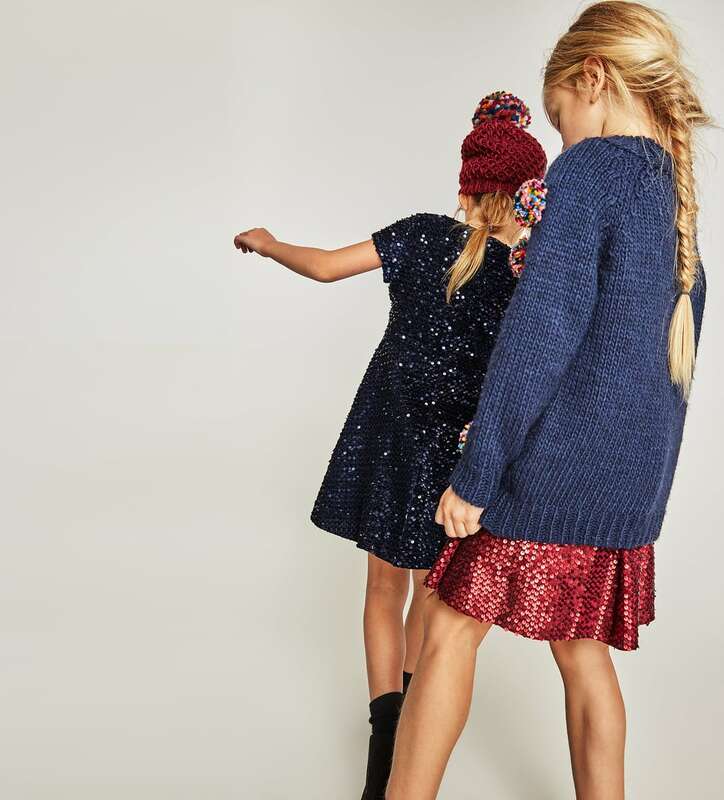 With only five weeks to go till the big day, there is no better time to start researching which party frocks your little ones will be donning this Christmas. This time, I had a little help compiling my partywear edit with the assistance of Miss I. 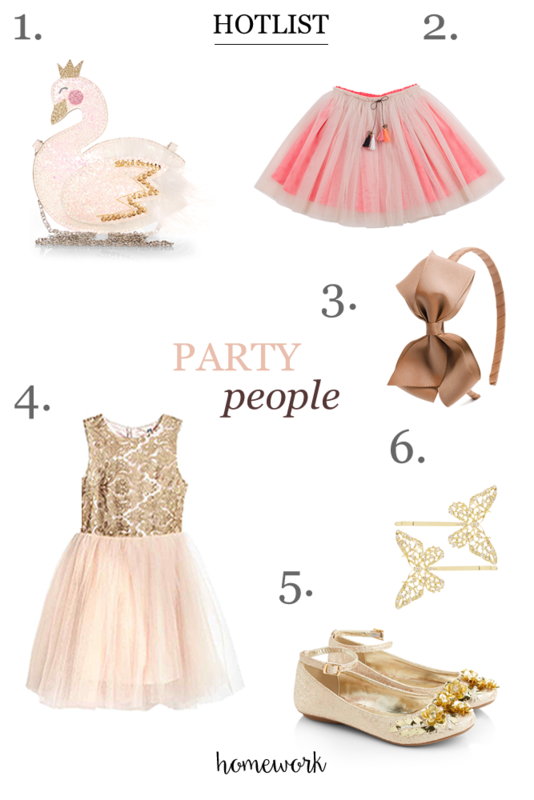 When it comes to partywear, I think we are spoilt for choice with dresses, tutus and hair accessories in abundance on the high street, mid range and through to designer brands. I am not one to spend a fortune on dresses that they will wear just once and then grow out of quickly. If you are looking for good value yet stylish party dresses, I think Question Everything‘s party dresses which can be seen above in the main picture tick all the boxes. They all have beautiful prints, hand smocking detail and can be dressed up or down with converse or party shoes. My favourite dresses from this season are the Joni dress which features and all over cherry print seen above and the Izzy tartan dress below with tulle underskirt. 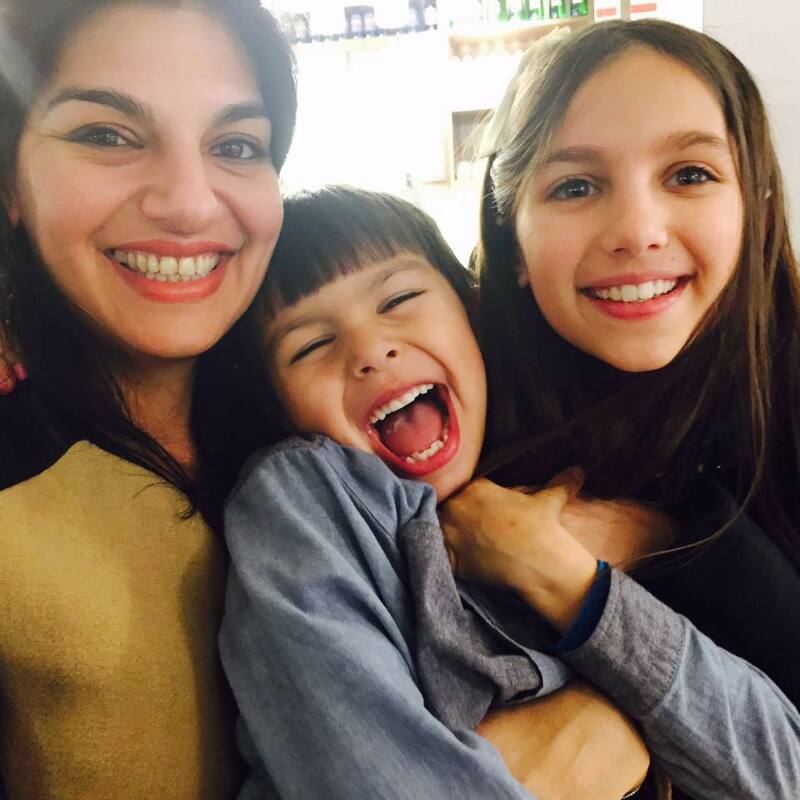 They go from ages 0-9 so I can just squeeze Miss I in! Not for long though. For more partywear pieces this year and also birthdays in our case which is 4 days before Christmas, we found a few more festive pieces to get the party started. And for a finishing touch, if you are looking for the perfect party coat to wear to all the Christmas parties, I think I have found it at Monsoon. 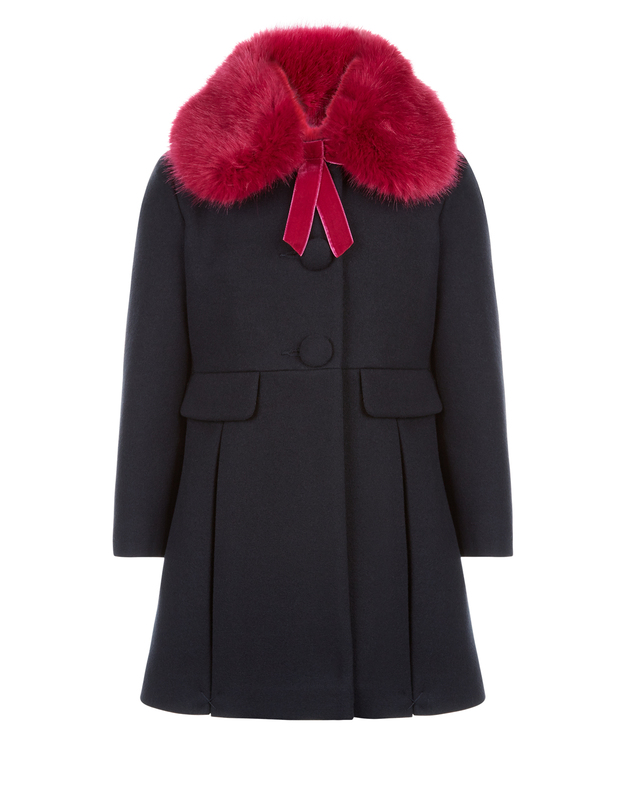 How gorgeous is this beautiful coat with the pop of pink faux fur collar? 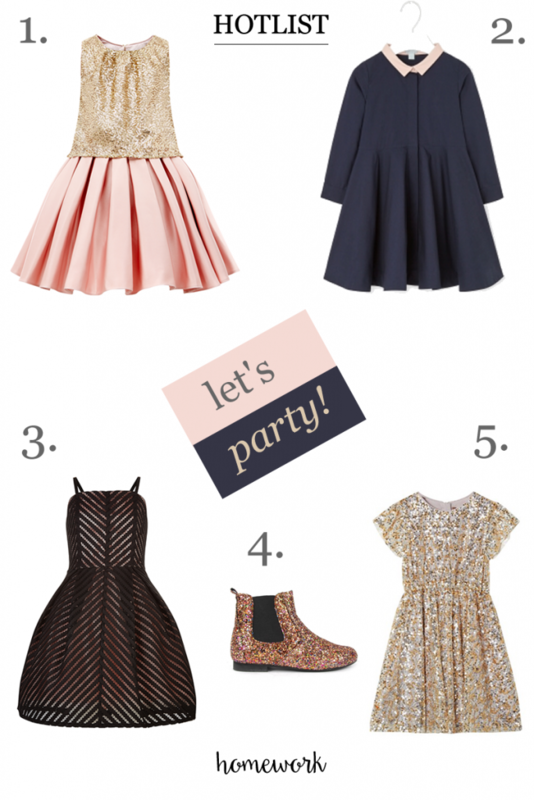 Christmas: Part 1 – Partywear for Girls – Let’s Party! Naturally in mid-November, it’s always at this time that I am scourimg the shops for festive partywear. Not only for the festive season but also for my daughter’s birthday which is just a few days before Christmas. 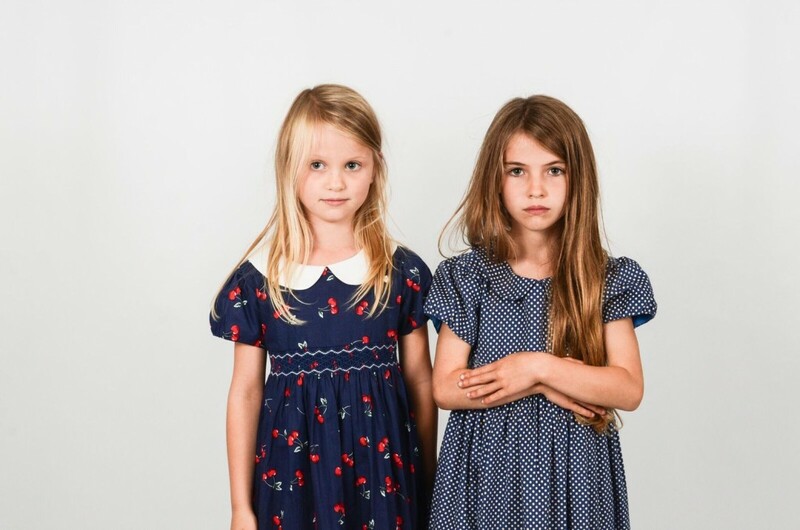 There is no end of choice of partywear for girls, it’s just the boys don’t have much on offer! 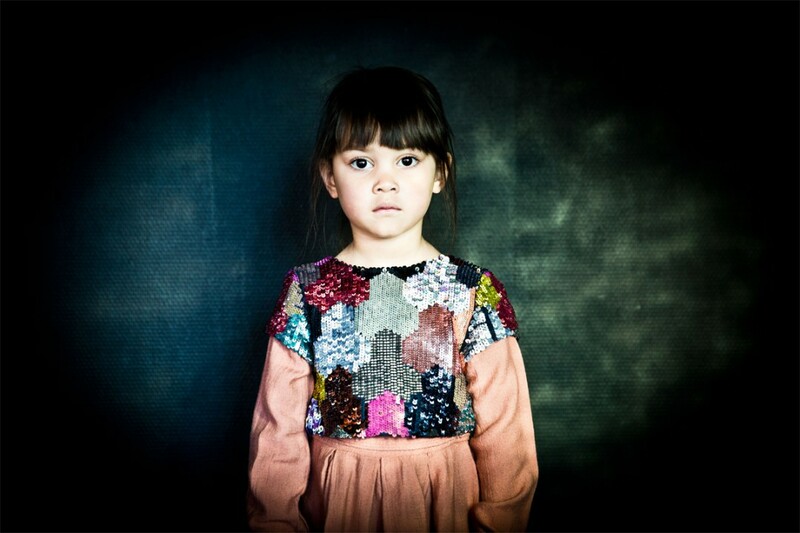 One label I absolutely love is Belgian brand, Morley which is featured above and you can buy from here. Not just for partywear, Morley has such a good selection of stylish girlswear and boyswear, I just can’t get enough. This is such a beautiful simple dress for day or for the festive season. 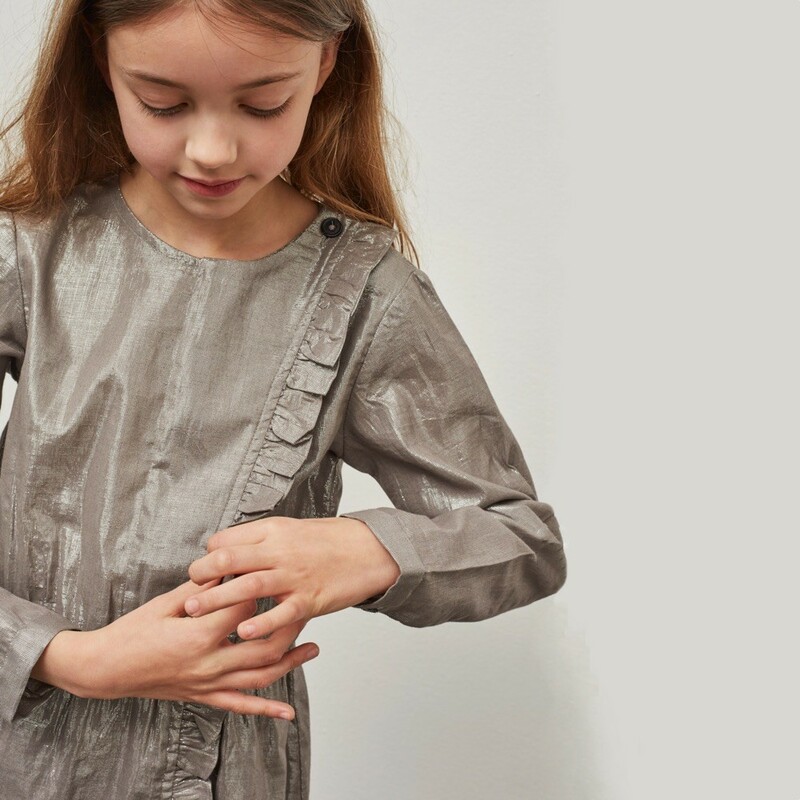 Check out new brand Little Circle which sells select designer brands like Morley and allows you to ‘recircle’ by selling select second hand designer brands through their platform. Without trying to be too much of a magpie, there are a few sequin numbers that get my vote from Monsoon and from online department store, Smallable. 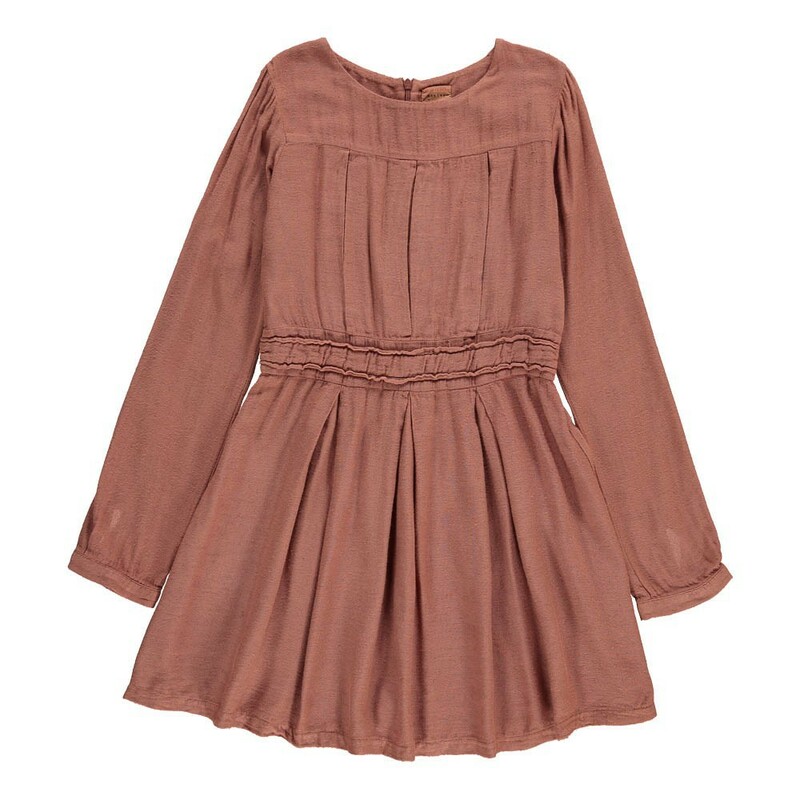 I am in love with this shirt dress (2.) 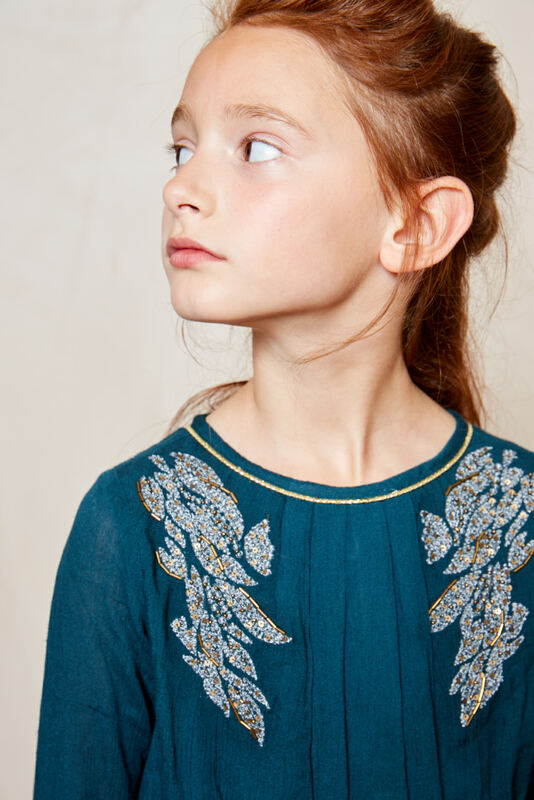 from Cos which only goes up to age 6-8 but is just super chic. 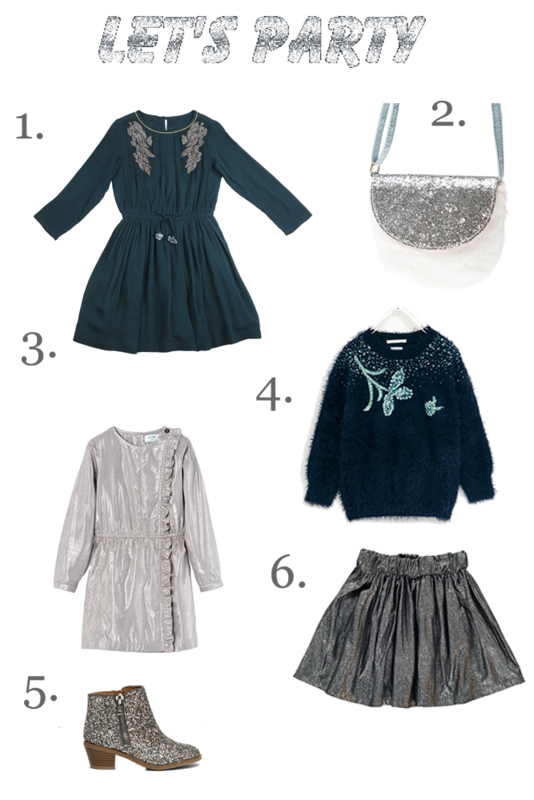 Here’s my top picks of partywear for girls this Christmas. Enjoy!